Impoundments, pits, ponds and lagoons are enclosed areas below the average grade of a property that is generally used contain a stagnant body of some liquid. In these areas, surface water discharge often accumulates and either discharges or percolates into the subsurface. 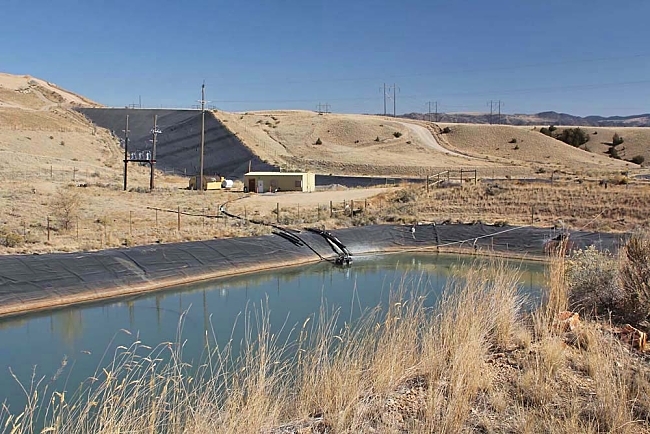 This discharge may contain contaminants and the area will build up with contaminants that discharge into the impoundments, pits, ponds or lagoons. Impoundments were historically popular to contain industrial sludge and effluent. Surface impoundments would be good places to store millions of gallons of industrial wastewater or sludge. If they didn’t leak, of course. Surface water discharge will follow along the topographic features of the land from the highest point to the lowest it can reach before pooling in the lowest topographic feature. With impoundments, pits, ponds and lagoons generally being the low point in the surrounding topographic features the surface water discharge pools in these areas. Impoundments and pits tend to be drier so most of the discharge leeches into the ground or evaporates. Either way the discharge leaves behind some of the particulates that were carried by the water. Over time these particulates build up in concentration and can become harmful to the environment. Ponds and Lagoons also receive these particulates but since they still contain water the particulates remain suspended in solution while increasing in concentration. Again overtime these particulates can become harmful to the environment. Underground storage tanks (USTs) are the number one source of environmental liability on real property. When reviewing your environmental professional’s Phase I ESA report, focus extra attention on current and potential historical USTs on-site. Your environmental professional should have reviewed fire insurance maps, permit records, and other municipal records to locate USTs long forgotten (but still buried on your property). There is no inexpensive way to manage a leaking UST.